SMS Point of Sale provides the security demanded by the industry, and the flexibility required by its merchants. Certified with both PCI and VISA security standards, SMS POS ensures compliance and provides peace of mind. 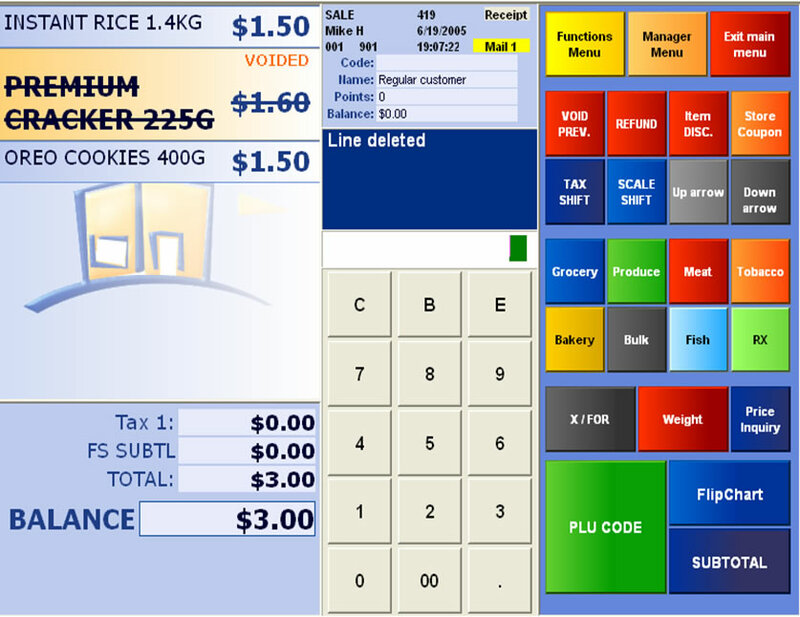 Combined with a fully customizable touch-based interface, the system easily integrates into existing store processes and procedures. Security and usability are just the surface. 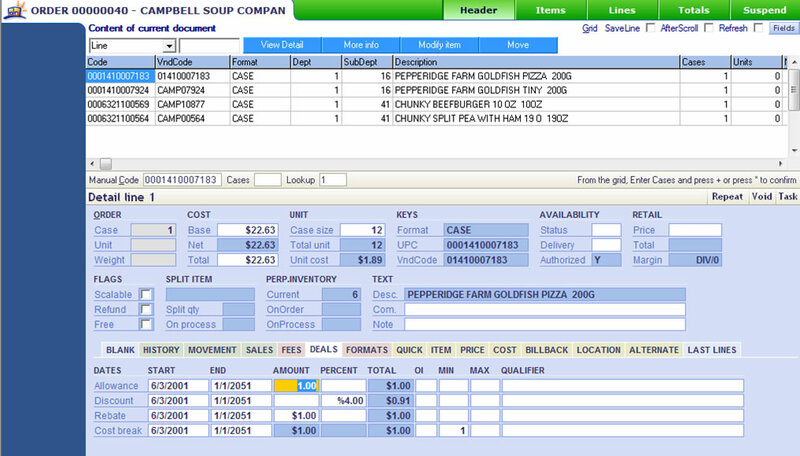 SMS POS provides superior data handling by design. The foundation is rooted in solid, proven industry standards. As a client to Microsoft SQL, SMS provides undeniable reliability, a robust feature set, and speed. POS lanes are capable of operating even when the network or server is down, providing worry-free transactions processing. The features merchants expect are built in. The true magic behind SMS is the seamless integration of features others only dream of. Register today to learn more. Defined commonly as an allegiance, loyalty means so much more to modern merchants. SMS Loyalty provides more than a common rewards system, it provides the engine to drive profitable growth. Understanding trends and behaviors is easy with a full featured customer demographics tool. Manage customers with multiple risk and shopper levels, price by tiers, and offer transaction based promotions. Promotions can be based off virtually any field tracked by the system, including total or cumulative sales, item or department or sub-department sales, points or shopper level. There is more to loyalty than just a card. In fact, SMS can be cardless too. To find out more ways SMS Loyalty can grow profitability, register today. SMS Back Office is the heart of the system. In fact, LOC Software started as a back office system some 25 years ago. From those early roots, SMS Back Office evolved into the most complete, and most versatile, management tool dedicated to retail operations. Single and multi-store users benefit from the toolset that offers total control over the store or enterprise. Tailored into one seamless interface, SMS Back Office satisfies all a merchant’s operational needs. From powerful merchandising and inventory control, integrated purchasing and receiving, to business analytics and reporting, SMS Back Office makes profitable retailing possible. To see how other merchants are employing the best technology has to offer, register today. Smart phones and mobile computers dominate popular and professional culture. Modern retailing should be no different. SMS Mobility provides the platform to utilize mobile technology to its fullest. Mobility in retail provides operational efficiencies and can increase customer service. Receiving and inventory processes can be optimized with direct database connection via Wi-Fi. Changing prices is faster and updates instantaneously with a mobile computer and printer. Queue busting has never been simpler, with multiple methods to accomplish the task. Modern merchants are no longer tethered to registers or workstations. SMS Mobility helps cut the cord. Learn more by registering today. Modern retail systems are expected to do much more than their predecessors. Protecting cash is just part of the equation. SMS Security tools not only lock down cash and data, but also maximize a store’s physical security system. Access to any part of SMS is limited based on customizable security levels. Access to any system function is similarly limited. Proper access can be controlled by login, access codes, or fingerprint recognition. SMS Security also logs every instance and function completed within the system via a searchable electronic journal. SMS Security offers direct interfaces to DVR security systems too. Now merchants can combine video with an overlay of transactional data. Videos are cataloged and can be recalled directly from the electronic journal. To learn more ways SMS can secure your retail operation, register today. SMS Fuel brings the power of integration to the pump. Now with one system, merchants can manage all aspects of a fuel based operation, including in-store, at-the-pump, and food service. All the features a merchants expects are at-the-pump, including prepay and at-the-pump authorization. But it is the unexpected features that make the difference. SMS Fuel provides: pump control from any POS, full or self service operations or a combination, integrated inventory and reporting, price book management, and more. Dynamic promotions make the difference and SMS Fuel easily delivers. Since the same system manages gas, in-store, and even food service operations, the combinations are endless. Learn how SMS Fuel can take your operation to the next level by registering today. Imagine one system, the same system, running at the lane, on the receiving mobile computer, in the store back office, at the owner’s home office, at the corporate office, and at the warehouse partner supplying the chain of stores. It is not the future, rather it is the present. It is SMS Enterprise. One system, one interface, accessing one database. A seamless, continuous workflow is achievable. SMS Enterprise makes it reality. Learn more by registering today.